Which Grocery Delivery Services are Available in Alaska? From robotic vacuums to smart thermostats, a surge of new technology is making life at home easier. Now, Alaska residents can add grocery delivery to that list! Buying groceries online is quicker, easier, and more convenient for just about everyone, including working professionals and busy moms. What’s not to love? You get the same brand names at the same prices from the same stores. The only difference is that your favorite items are delivered right to your door. Is There Same Day Grocery Delivery in Alaska? Yes! Alaskans can get their groceries the very same day they order them. Need them even sooner? You have the option to get them within a few hours of placing your online grocery order. A myriad of delivery options allows shoppers to fill their carts when it is convenient for them — late at night after the store is closed or early before it opens, for instance. Then you just select your delivery window, and go about your life. As if buying groceries online wasn’t already super convenient, most service providers also offer a free, easy-to-use mobile app. Search for your favorite grocery delivery service in the Apple App Store or the Google Play Store. Download it, sign in, and start shopping from literally anywhere your smartphone or tablet can access the internet. You can even save shopping lists across devices, shop promotions, and redeem coupons. Do Walmart, Costco or Whole Foods deliver Groceries in Alaska? The answer is probably yes! These three mega giants are working out the details of their Alaska offerings. 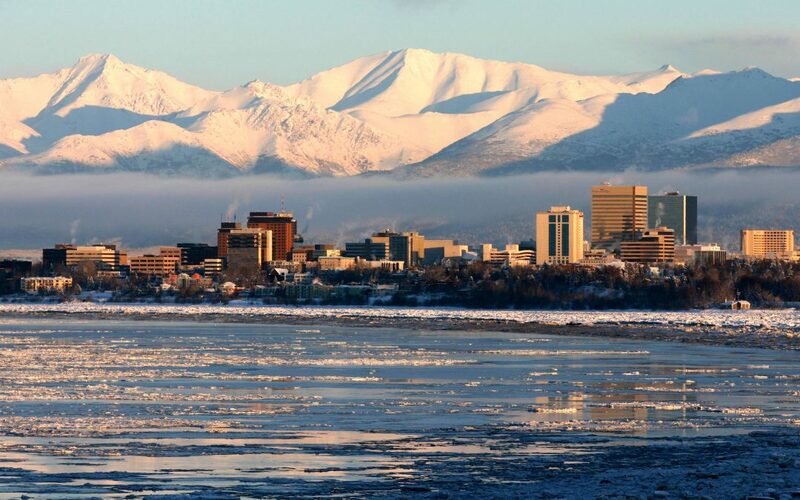 When their services become available in Alaska, we’ll add them to the list above.